I did what u said: I opened Real player, click on Options and there is no Edit tones, all I have is Open, New track list, Download, Settings, About product, Help and Exit. I'm using Nokia Rm-51 firmware. But my question was about the Java application that Nokia says on their website (www.nokia.com/nokia/0,8764,65363,00.html, see java applications) is installed in the phone. As for my battery, I charge the phone every two days and between charges I have 3 hours of radio, one hour mp3 player, a little bit of bluetooth, some games and 1 hour of talk time. Also I haven't found any of the bugs mentioned on this forum. I've read the manual twice (completely) and I didn't find any mention of Tunes Studio. Also I've cheked the menu of the phone very carefully and I didn't find it also. So it's not a silly question. Perhaps you can tell us if it's installed or not if you say that you bought the phone (and you've read the manual). Concerning your battery life, read carefully the section regarding the battery in the Nokia user's manual. Maybe you've missed something at the begining. nokia 3230 is wonderful set . i like it kia price hain is ke bhai . A question for the 3230 owners: did you manage to find in the phone the Tunes Studio application that lets you compose your own ringtones? On my phone it isn't installed (contrarely of what is specified on the Nokia website). Stay away from symbian...it has way too many viruses .. Nokia is becoming the microsoft of mobile world...! 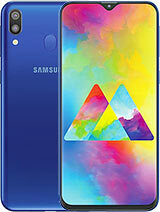 top phone i have had mine for over a week if anyone wants any i can sell at good prices as im a mobile phone account manager @ tariffcheckers and we have many in stock. has to be 10 out of 10!!!!!!!!!!!!!! I just wanna enquire some settings for the ringing tones. Besides using the default tones, can I put other format like midi, wav, and mp3 as ringing tones ?? And can I set "Assigned tones" to each person or the N3230 using caller ID ? Malware authors have created a Trojan that targets Symbian series 60 smart phones from Nokia and attempts to remove any anti-virus protection it finds. The Drever-C Trojan attacks mobile anti-virus packages from F-Secure, Kaspersky and Simworks running on Symbian devices. Targeting security protection is common in mainstream Windows PC malware but this is a recent innovation for mobile viruses. actually there is a solution for every problem hp. dis nokia 3230 is mono but is loud just like stereo.the sound quality sound nice to me. however if u wan better quality u can download ultra mp3 player from www.lonelycatgames.com it will sound better. just like sony ericsson k700. everyone is complaining about the memory. I have beeen using k700 n is goood. just transfer the mp3 to mp4 and i have 30 songs in my k700.